Our friendly, knowledgeable staff can help you find what you need, from industrial and automotive parts, supplies and fluids, to lighting, safety, material handling and storage equipment. We repair and rebuild all makes and models of starters and alternators. We are the largest distibutor of antifreeze and windshield wash in Northern Ontario. Whether it’s tanks, totes, hoses or handles, we are Sudbury’s premier source for Fluid handling equipment. 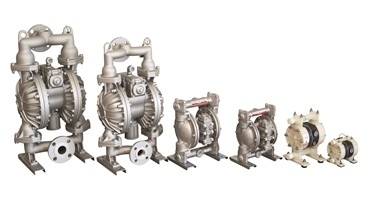 We sell Yamada and Wilden pumps, and also repair and rebuild all makes and models of air-operated double diaphragm pumps. Herold Supply carries a variety of safety products ranging from signage to equipment. From simple magnetic mount strobes to road barricade lights, we can shine some light on the situation. Whether you’re looking for shelving for your garage or cantilever racking for a warehouse, we can meet your storage demands. We are your one-stop source for materials handling equipment.